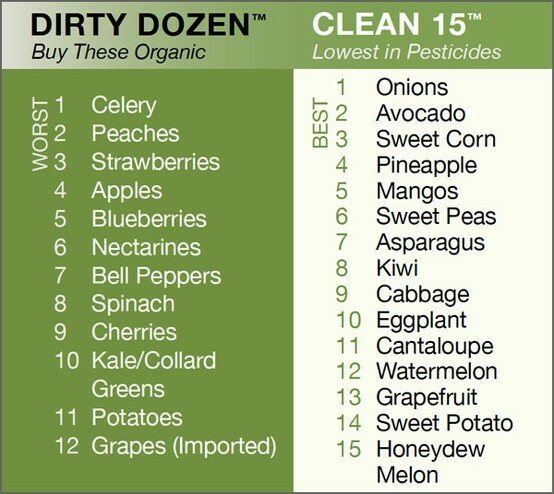 So basically the fruits and vegs on the left hand side ( green side ) you have to get organic. Not sure why the potatoes and the sweet potatoes are not on the same side!! Regardless I feel that its a handy list to have.